Even Harley Quinn gets cold from time to time. 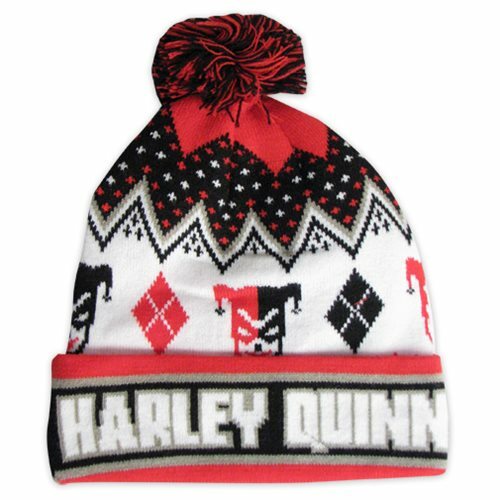 Keep your melon nice and warm with this Batman Harley Quinn Pom Beanie. Hat is one-size-fits-most and features an "ugly sweater" print. Ages 13 and up.